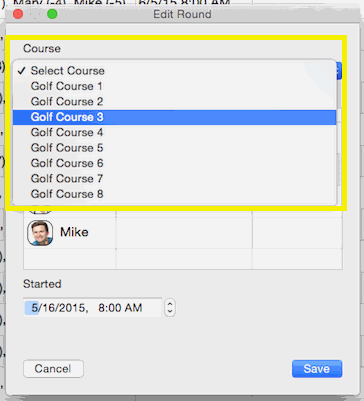 After entering the details, click the "Save" button to commit your changes or click the "Cancel" button to lose any changes. 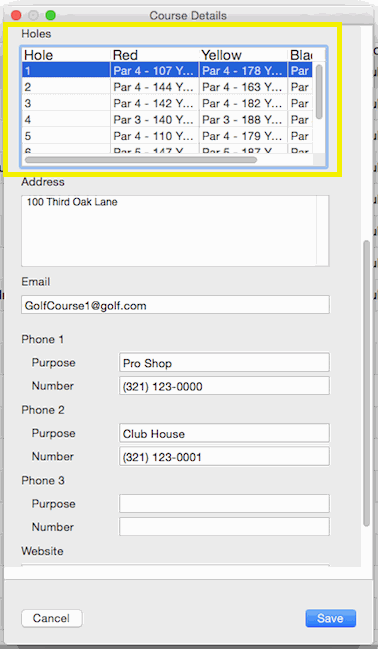 NOTE: The "Name" field is required! 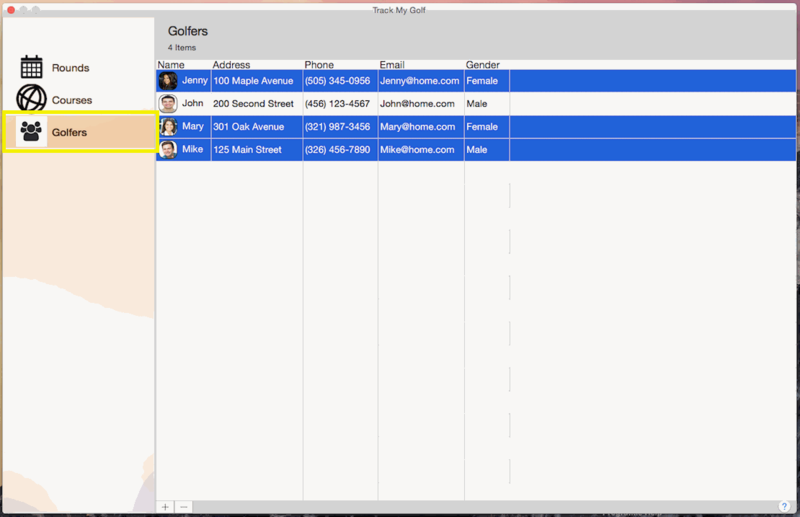 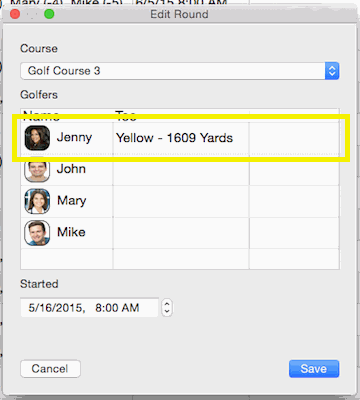 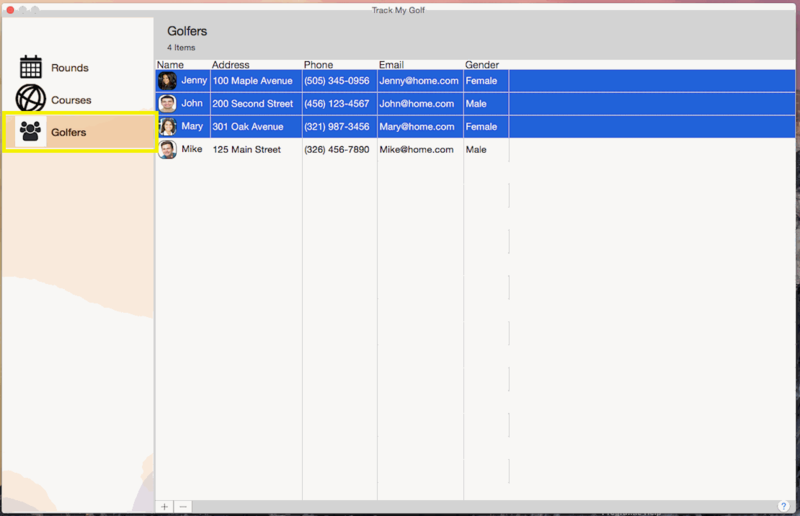 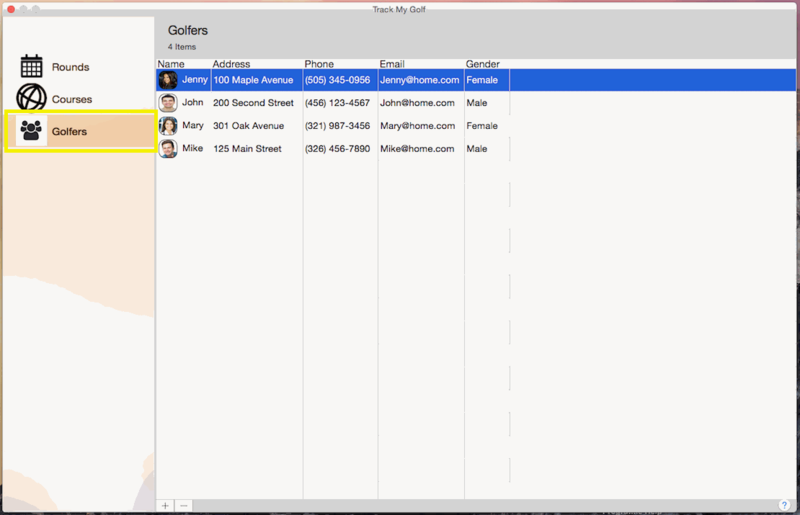 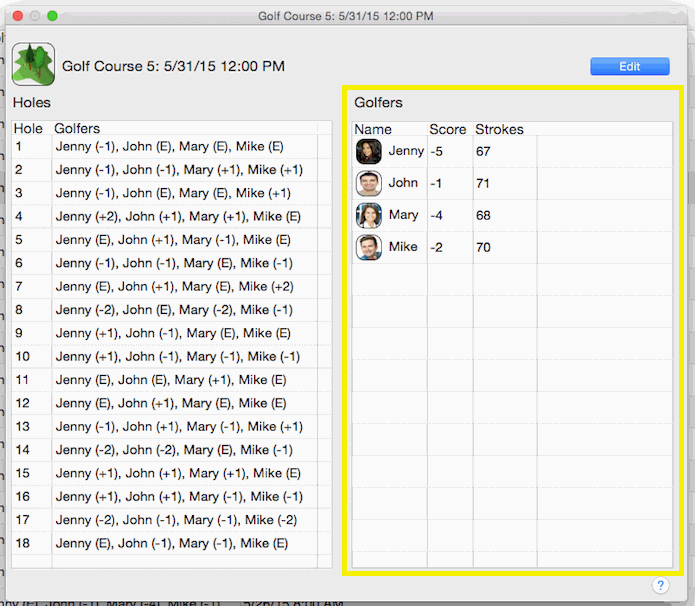 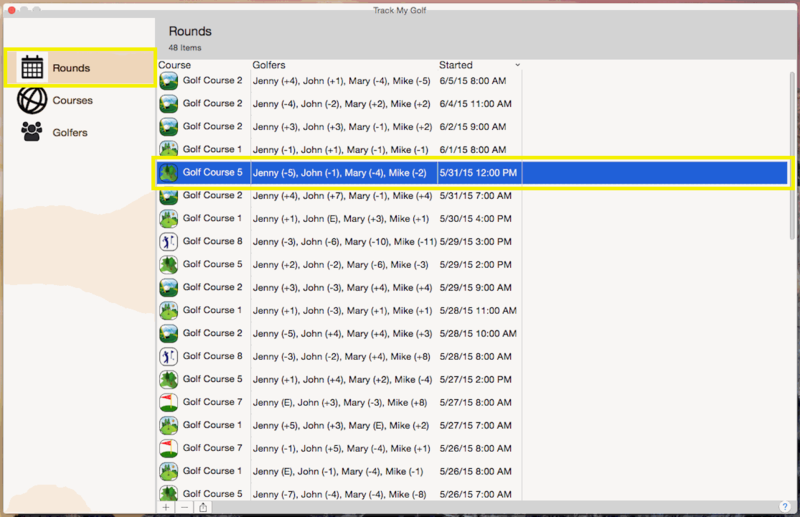 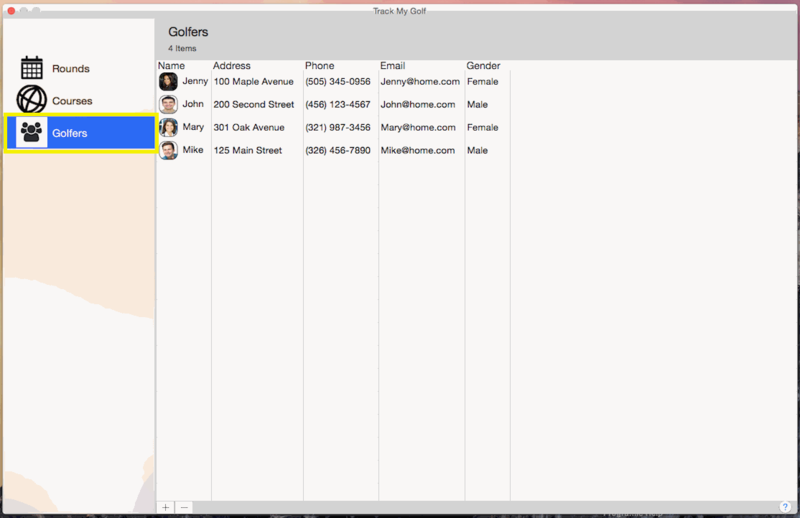 Double click the golfer you want to update. 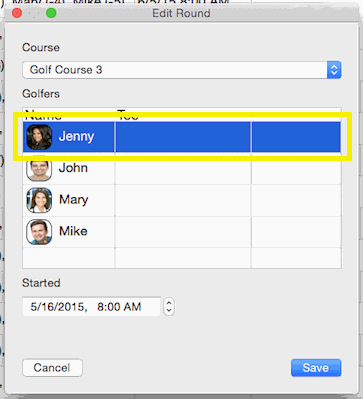 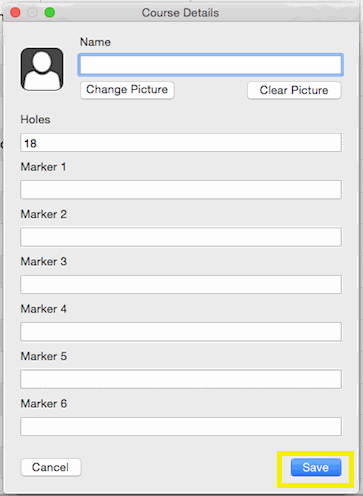 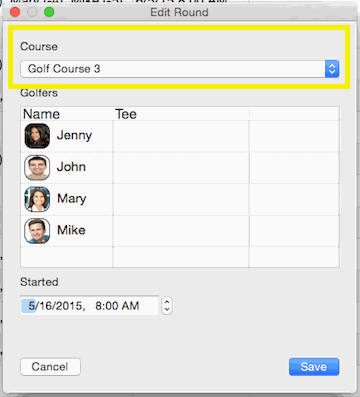 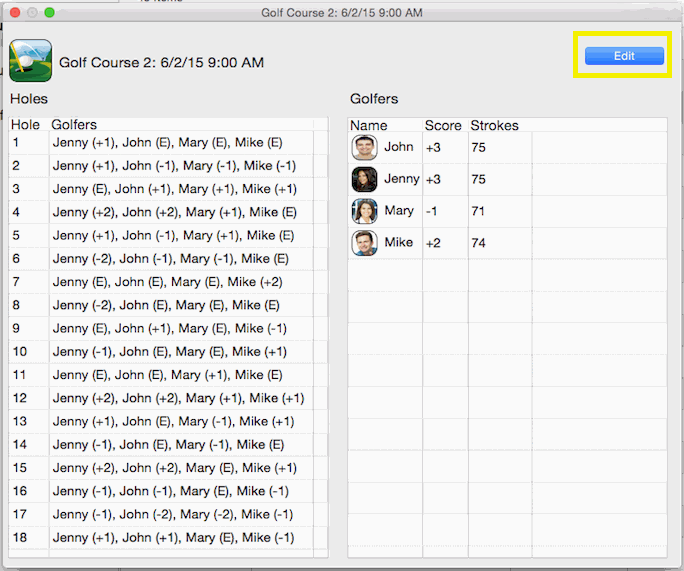 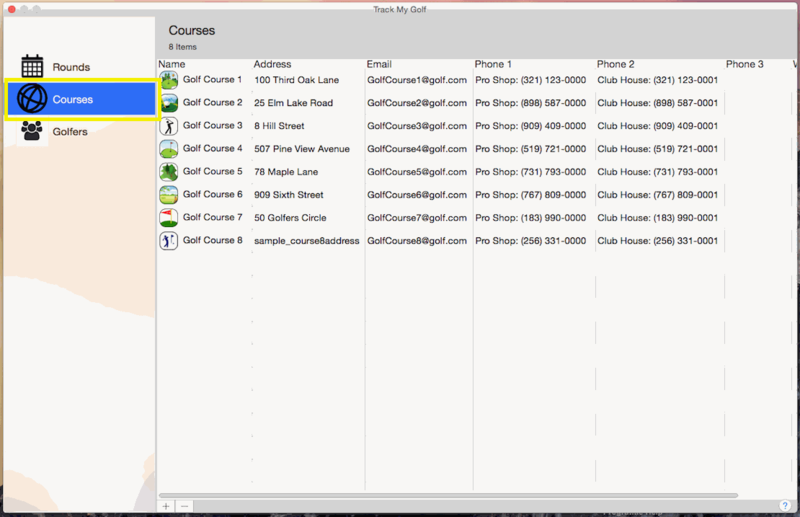 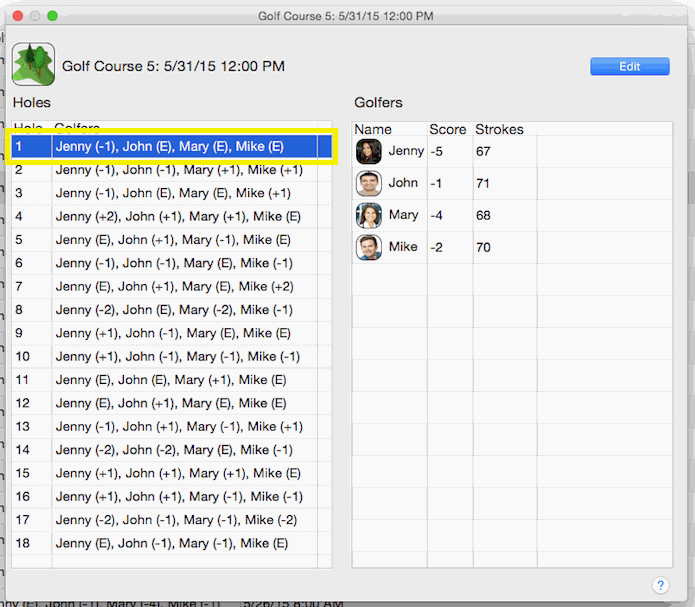 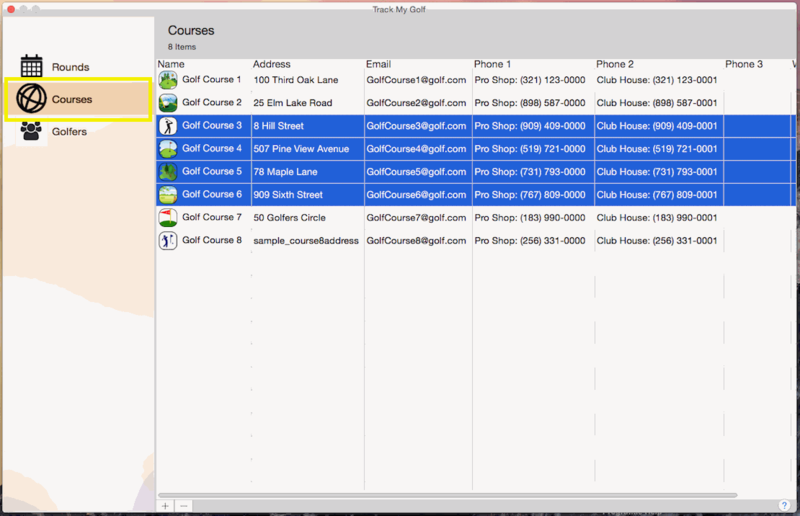 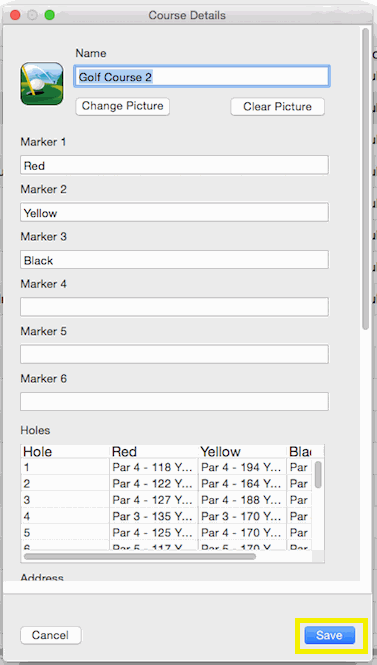 The Golfer Details page will then load with the details for that golfer, after updating the details, click the "Save" button to commit your changes or click the "Cancel" button to lose any changes. 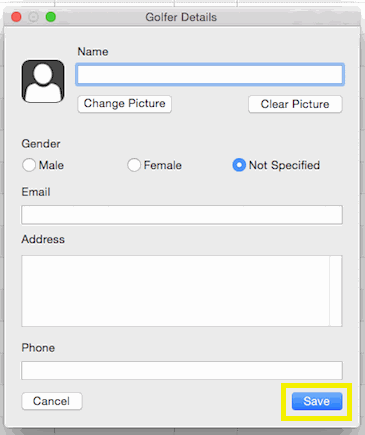 NOTE: The "Name" field is required! 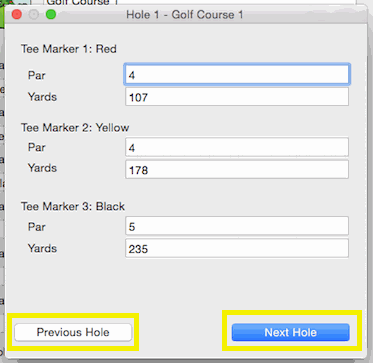 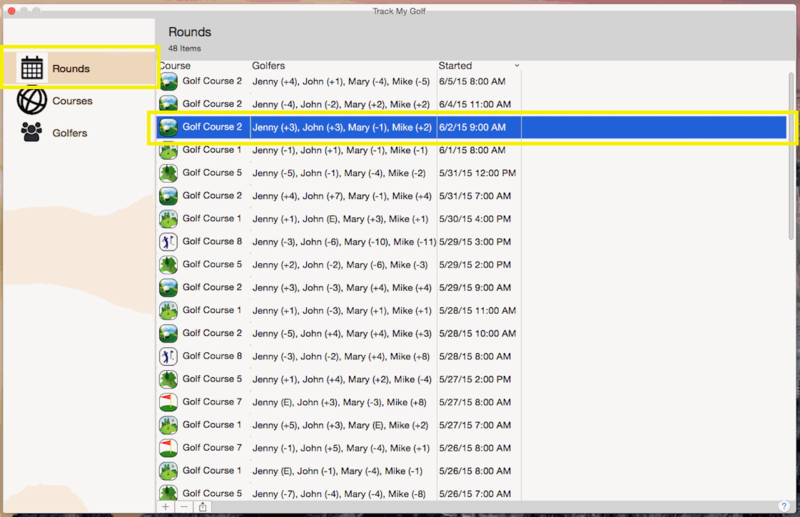 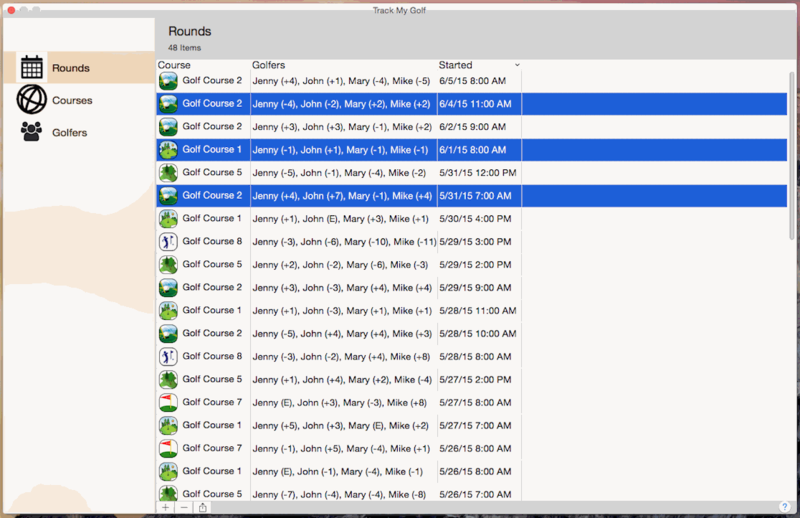 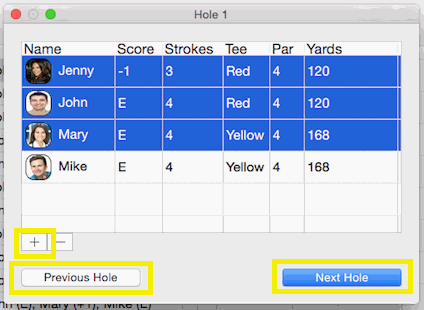 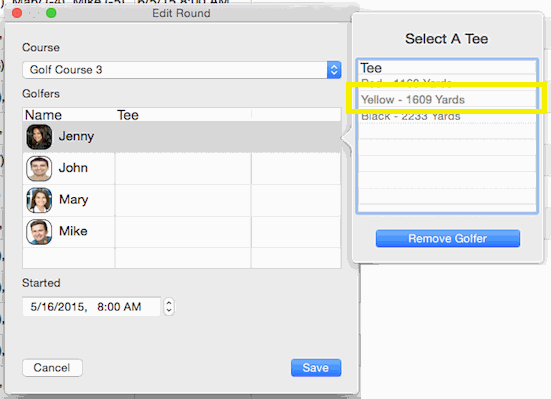 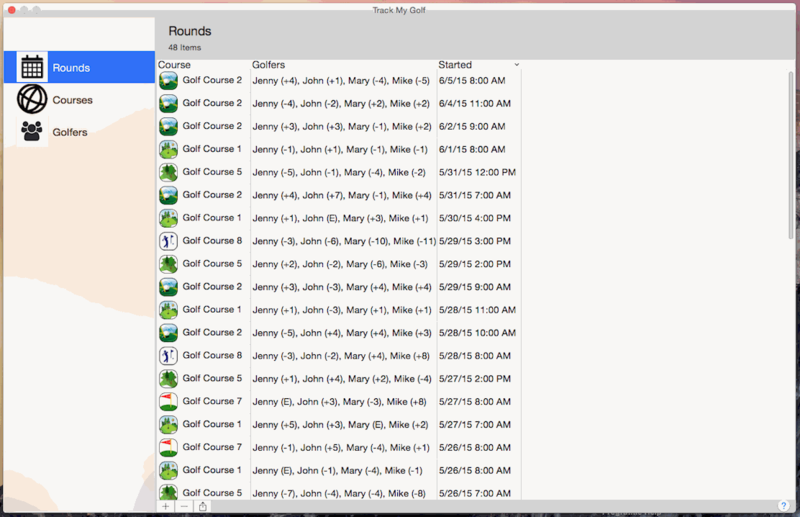 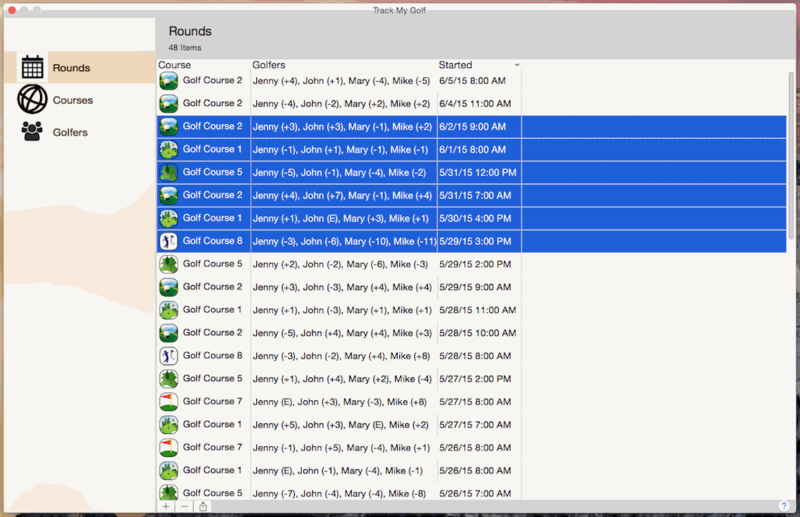 After entering the course name, number of holes and information for at least 1 tee marker click the "Save" button to commit your changes or click the "Cancel" button to lose any changes. NOTE: The "Name" field is required! 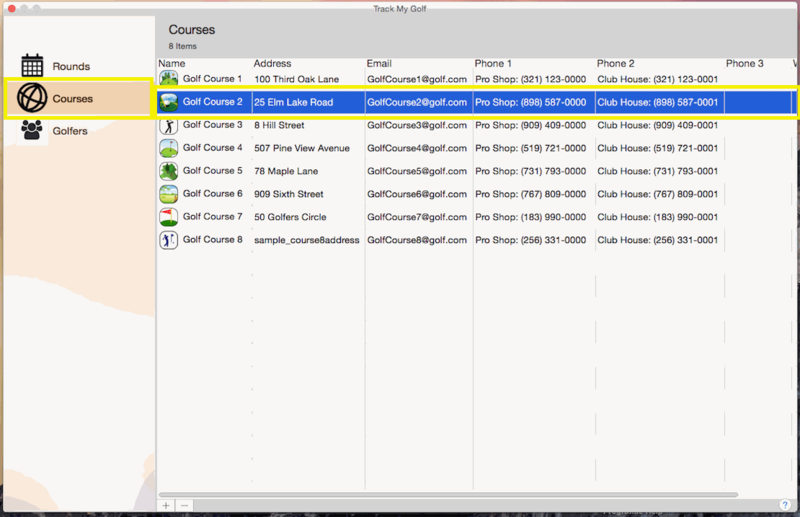 Double click the course you want to update. 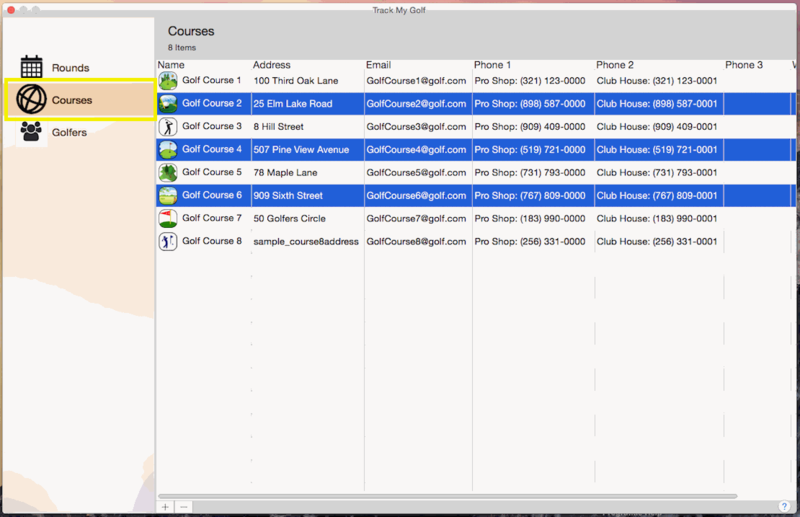 The Course Details page will then load with the details for that course, after updating the details, click the "Save" button to commit your changes or click the "Cancel" button to lose any changes. 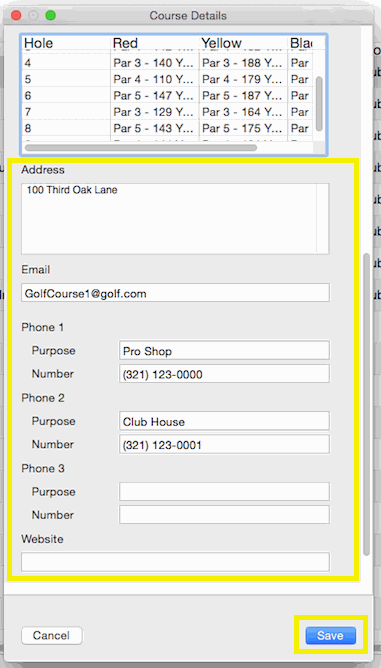 NOTE: The "Name" field is required! 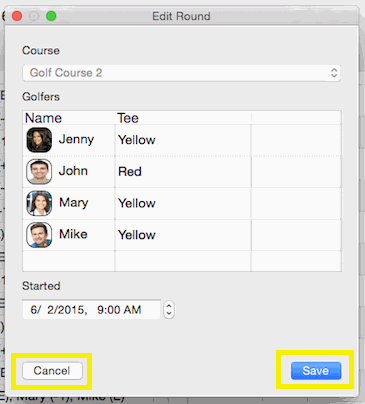 Finally, click the "Save" button to commit your changes or click the "Cancel" button to lose any changes. 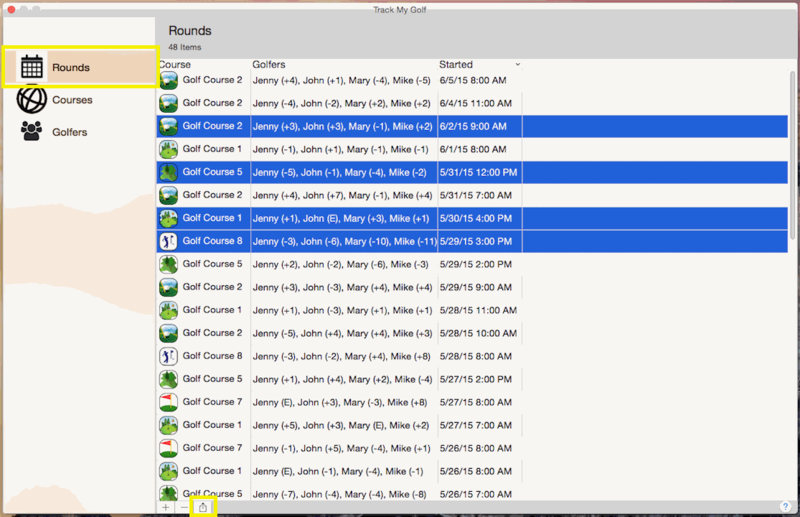 Double click the round you want to update. After updating the details, click the "Save" button to commit your changes or click the "Cancel" button to lose any changes. 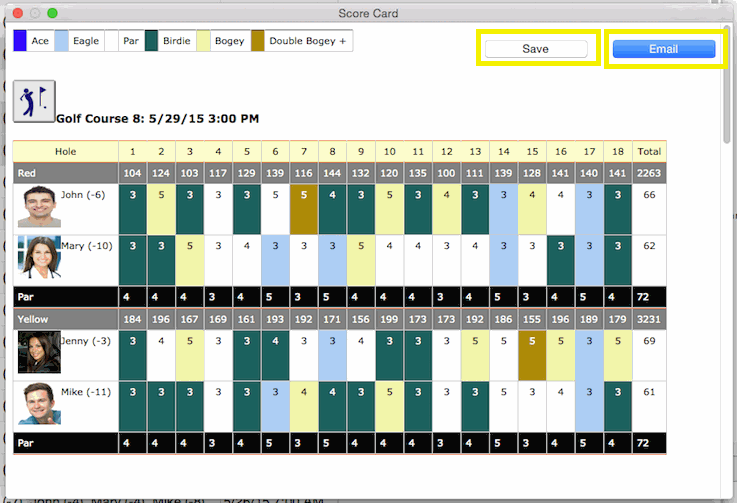 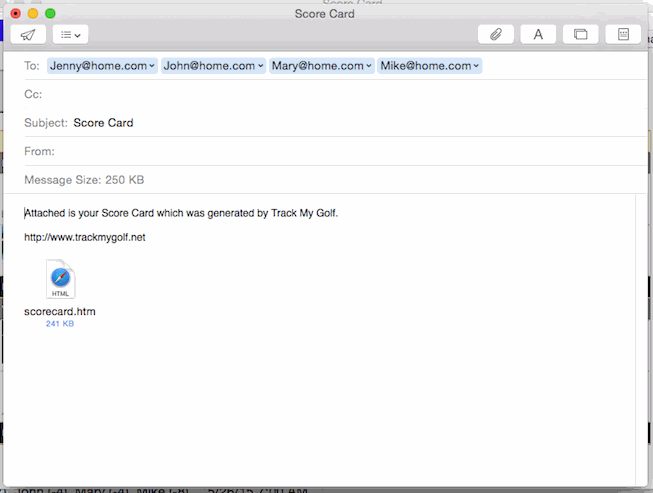 Next you will see a preview of the score cards, from there you can email save or email the score cards.